The simplest model in the series has a pretty familiar look to it; if you bought into the first wave of optical mice from Logitech, you'll find the G100s has essentially the same shape. That's not exactly a bad thing, since that was a very functional mouse design and was popular in my circles. So why go back to this type of design? As Logitech tells it, those old style mice wound up being exceedingly popular outside of the United States, specifically in South Korea, where competitive StarCraft is a serious sport. 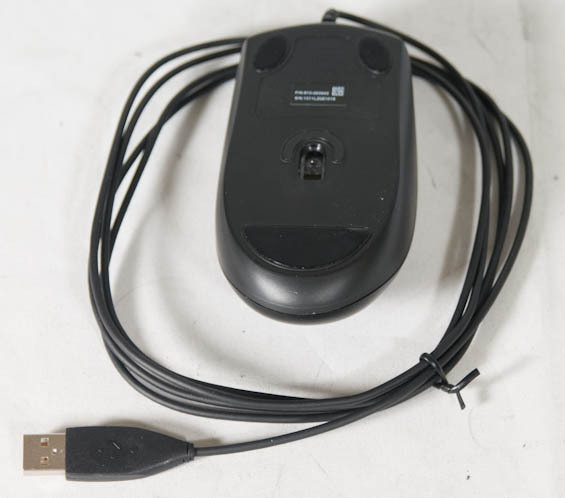 The original G100 served that market as an inexpensive but very efficient mouse for RTS play. Offered in the traditional shape with virtually the exact same surface treatment, it can seem kind of chintzy compared to its larger siblings, but looks can be deceiving. The G100s has four buttons: left click, right click, middle click (under the scrollwheel), and a DPI switch that can be configured to be just about anything in the Logitech G Software. Unlike the other two mice in for review, the G100s has no onboard memory for storing configurations, but like the other two, it features an updated sensor and higher quality switches in the buttons. The G100s utilizes a specific optical sensor (as opposed to the lasers used in the G500s and G700s) that's supposedly extremely precise; I couldn't get any more details about it except that the product developer I spoke to was absolutely psyched about it and looking forward to deploying it in more products. The idea behind the G100s design is that RTS players don't need a lot of extra buttons but do need to make a lot of quick, very precise motions. They tend to drive the mouse more with their fingertips than with a full grip, so a lighter mouse would be preferable for that style of play. I opted to test their theory by playing rounds of StarCraft II and Civilization V (yes, I know Civilization V isn't actually an RTS, but it does share some of the motions), and I found that it was basically dead on. The mouse was underwhelming for playing anything super slow paced (the undemanding Duels of the Planeswalkers 2013 actually wasn't very enjoyable with this mouse, surprisingly), but I noticed that my mousing style changed and adapted to the two strategy games. I'm not entirely sure how useful the DPI switch is, but having a fourth mouse button available and basically out of the way didn't negatively affect my use of the mouse. 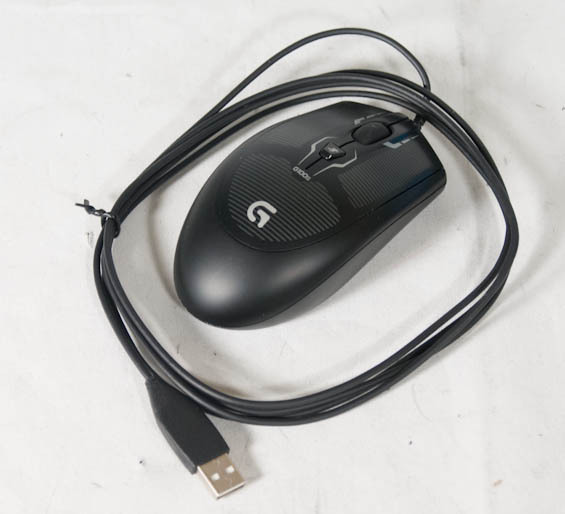 It's also tough to adequately articulate, but the G100s really did seem ideal for strategy gaming, more so than the other two mice, and the sensor had an incredibly fluid and smooth feel to it. Like the others, the G100s is a very responsive mouse, but the entire subjective feel in hand gradually made a believer out of me. The problem is that the G500's primary buttons aren't particularly durable. I wore out my first G500 and I have a friend who wore his out as well. My G400 has been fine, and I've used the hell out of it for the slightly more than 1 year I've had it. It's also spent a significant amount of time getting stuffed in my bag to take with me to college to use instead of the crappy Dell mice the school has in the computer labs. The only problem I've had was the scroll wheel was stuck for a couple days, and didn't turn as freely as it normally does. Upon further inspection, all I needed to do to fix it was scrape some junk that had become lodged in the opening out of the space. It's still just as functional as ever. I don't know how you've been treating your mouse but my G500 has been with me since Bad Company 2 and had no button problems EVER. To me the LOGITECH mouse were build to last. Playing FPS is my first love with games and constantly changing DPI when i need too. Now compare it to another 2 brands my friends have and playing the same games, i would only say "R" & "C" have problems. Do you work for Logitech? Do you hold stock in the company? Why assume that when they break it's always, 100% OUR fault? Still, it was a nice mouse before the middle button (and the scroll wheel with it) gave up the ghost.